ISLAMABAD – Tax authorities in Pakistan will soon offer taxpayers a one more opportunity to come clean and pay their taxes or face new investigative measures. During the opening speech of the annual general meeting of the Pakistan Society of Development Economists (PSDE) on November 13th in Islamabad, the Finance Minister of Pakistan Abdul Hafeez Shaikh indicated that the government could soon launch an extensive amnesty program for tax evaders, and confirmed that the Federal Board of Revenue (FBR) will soon implement a high-tech system to eliminate the occurrence of tax evasion. 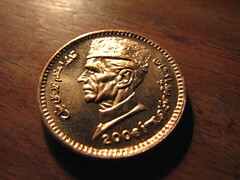 The Minister said that he has agreed in principle to the conditions of a proposed amnesty program, which will allow any taxpayer with undeclared assets and incomes to come forward and face a reduced penalty of only 1 percent of the assets’ value, in return for registering with the FBR and making a full disclosure about their previously unfulfilled tax obligations. Following the completion of the amnesty, all taxpayers still suspected of evading their taxes subject to tax investigations employing anti-avoidance measures, such as a whistleblower reward schemes, and the Board’s upcoming data matching system which can indentify tax evaders based on their declared incomes and evidence of their lifestyles and consumption. The date and details of the proposed amnesty are yet to be clarified by government officials, and are expected to be announced in the next few weeks.